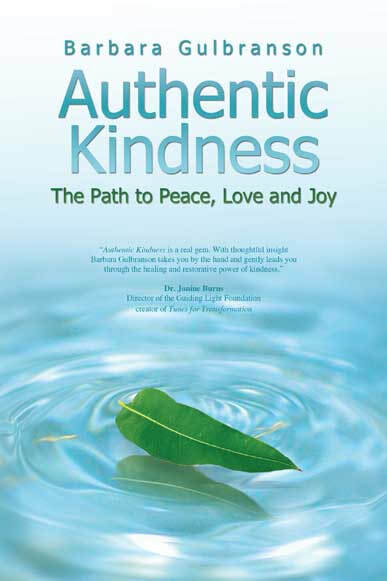 In a world full of division, turmoil and despair, Barbara Gulbranson’s Authentic Kindness: The Path to Peace, Love and Joy” offers a novel awareness that all of us are united as one human race, and the only way to lead a joyous and peaceful life, as well as thrive, is by practicing authentic kindness. Such an appeal can be considered as grandiose and impossible by many, especially skeptics, but the book provides a powerful, workable instrument on how to achieve it. Gulbranson shares relevant real-life stories of kinds in action and down-to-earth techniques on how to practice authentic kindness to experience unparalleled levels of peace, love and joy. "Authentic Kindness is a real gem. With thoughtful insight Barbara Gulbranson takes you by the hand and gently leads you through the healing and restorative power of kindness."